Since 1997, BLPC Law has enjoyed a solid reputation as the premier personal injury law firm of the greater Toronto area, and most of the surrounding cities and communities. We know that traumatic brain and spinal cord injuries can be life-altering, leaving you unable to perform a number of your daily tasks, including those performed on your job. Without the ability to function in this manner, you and your family are left without a source of income. That is one of the reasons that you need an experienced lawyer to help you get the compensation that you deserve. We will represent you in the courts, with law enforcement agencies, and work with you at every step so that you get justice. Where traumatic brain and spinal cord injuries are concerned, there are a number of causes that we are aware of. However, the primary causes of these types of injuries include falls, sports injuries, and vehicular accidents. No matter what caused your injuries, it is important that you have experienced personal injury lawyers of BLPC Law on your side, when filing your claim and getting compensated. It is still vital to seek legal consultation even if the fault of the accident was yours. 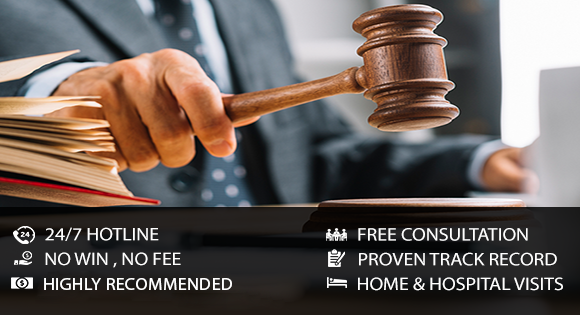 As your personal injury legal team, we will help you obtain the maximum accident benefits and proper medical attention that you deserve from the insurance companies. If your injuries are attributed to another individualâ€™s negligence, then we will file a personal injury claim and lawsuit, in order to recover compensation for lost wages, medical expenses, pain, and suffering. This includes any other damages and expenses that are related to your accident and injuries. The personal injury lawyers at BLPC Law are highly experienced in traumatic brain and spinal cord injury claims, as well as other complex personal injury claims. We have helped clients who have suffered these types of injuries in order to restore their quality of life, and to ensure that their families are well taken care of if you can no longer work. If you or a loved one has experienced traumatic brain or spinal cord injuries we are here to help you. For more information, please call us today so we can get you the care and compensation you deserve.